One of the great forerunners of 20th century painting This richly illustrated and expert study follows the artist from the early gloom-laden paintings in which he captured the misery of peasants and workers in his homeland, through his bright and colourful Parisian period, to the work of his final years, spent under a southern sun in Arles. Here, at last, he found the light that produced the unmistakable Van Gogh style. At Arles, Saint-Remy and Auvers-sur-Oise, in the feverish burst of creative energy that marked his last two-and-a-half years, he produced the 465 paintings on which his immortality rests. Van Gogh craved recognition during his lifetime but was denied it until after his self-inflicted death. Today he is universally seen as one of the great forerunners of painting of the 20th century, and one of the tragic masters of art. 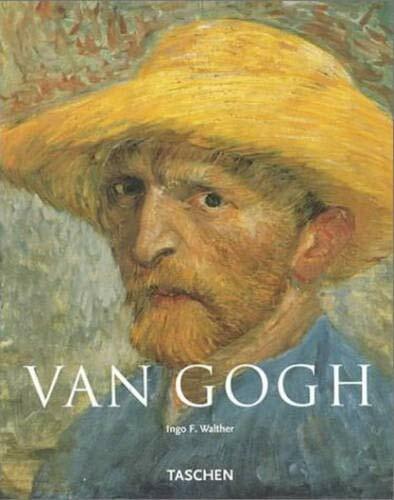 About the Series: Each book in TASCHEN s Basic Art series features: a detailed chronological summary of the life and oeuvre of the artist, covering his or her cultural and historical importance a concise biography approximately 100 illustrations with explanatory captions "